Special Counsel Robert Mueller has filed his Trump-Russia report this evening, and it’s led to a whole lot of questions and very few answers. One of the most curious questions is why Mueller chose to file his report on a Friday evening. There may be a highly logical reason for this, and it has to do with what’s about to happen over the next few days. Let’s start with what we know for sure. Robert Mueller spent the better part of two years working on this report, and he didn’t appear to be up against any arbitrary deadline. To that end, “March 22nd” doesn’t sound like anyone’s idea of a deadline. So Mueller chose this particular Friday evening for a reason. Attorney General William Barr then announced that he didn’t block any of Mueller’s requests, and that he’ll try to get the report to Congress as soon as this weekend. So Mueller chose to submit his report on a Friday, and Barr is planning to let the public see it over the weekend (he knows that when he gives it to Congress, it’ll immediately get publicly leaked whether it’s officially made public or not). And Barr doesn’t appear to be trying to play any games, because if he were lying about having granted all of Mueller’s requests, he’d be committing a crime by telling that lie, and he’d get caught. This leaves us with the question of why Mueller and Barr are setting things up so that the public finds out what’s in Mueller’s report over the weekend. We keep hearing that Mueller isn’t indicting anyone else, but everyone from Congressman Adam Schiff to Senator Richard Blumenthal has pointed out this evening that more indictments are likely coming from the likes of SDNY. Schiff took things further during his MSNBC appearance, stating that he expects the report to spell out who “should be indicted.” Keep in mind that as Chairman of the House Intel Committee, Schiff knows things about this probe that we don’t. 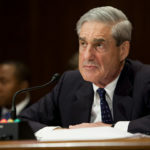 If the Mueller report is indeed going to explain to the public why additional people should be indicted, it would certainly need to come out before those indictments can happen. In such case submitting the report on Friday, and making it public over the weekend, would ostensibly be in order to lay the groundwork for indictments that are being unsealed next week. If you’ve been watching cable news this evening, you’re probably scratching your head at this, because you’ve heard over and over again that no one else is going to be indicted. But what’s actually been reported is that Robert Mueller isn’t going to indict any more people. That tells us nothing about any criminal cases that Mueller has handed off to U.S. Attorneys’ offices, which he’s done with the cases against Michael Cohen and others.